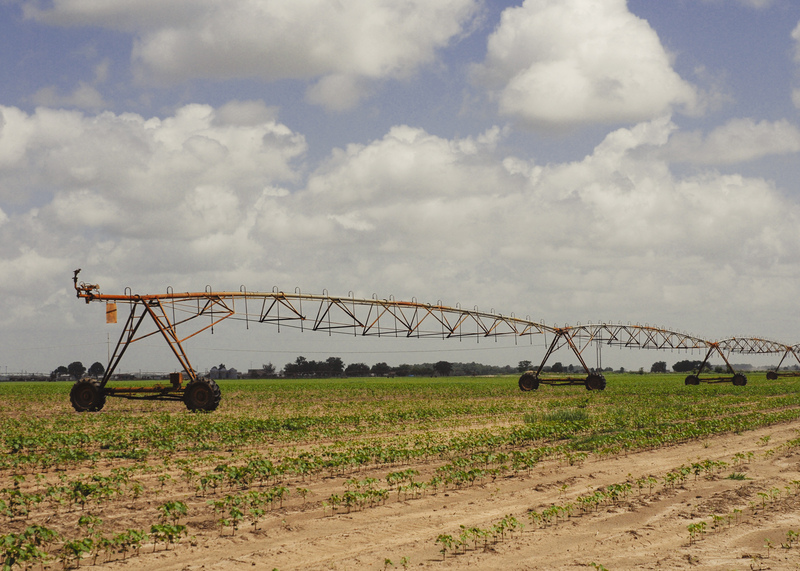 In recent years, Delta producers have been removing pivot irrigation from their farmland and replacing it with furrow-irrigation systems after their fields were land-formed. Most pivot systems in the Delta were installed 25 to 30 years ago and were designed to conservatively meet the estimated daily water needs of cotton. 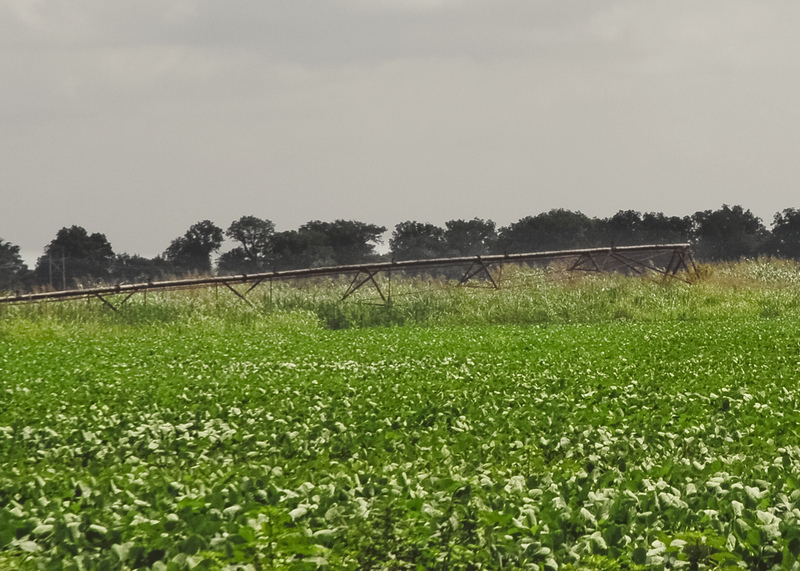 More recently, pivots have been designed to meet the maximum daily water requirements of all crops grown in the Delta under the most extreme weather conditions. Spray nozzles on pivots can be checked and replaced, and the entire system can be revamped to provide a higher rate of water. Cost-share packages are available to help producers make this happen, but in the Delta, many choose to abandon this method of overhead irrigation. Krutz would like to see this trend reversed. Furrow irrigation uses a collapsible pipe with holes punched in it. A pipe placed in each row allows water to flow down the furrows. While polypipe is not expensive, and maintenance is simple, the ground may need to be sloped so that water flows across the entire field. This dirt work can make the cost of setting up furrow irrigation as expensive as the cost of installing a pivot-irrigation system. Larry Falconer, Extension agricultural economist at the MSU Delta Research and Extension Center in Stoneville, has included these costs in planning budgets available to producers. Falconer said installation costs for pivot irrigation is lowest on square fields, but furrow irrigation is better suited for irregularly shaped fields. It also costs less to operate pivot irrigation than to furrow irrigate. Lyle Pringle, associate agricultural engineer and irrigation researcher with the Mississippi Agricultural and Forestry Experiment Station, explained the efficiency losses in both systems. Pivot irrigation sprays water over the tops of the plants, and some is lost to evaporation. With furrow irrigation, some is lost into the soil as the water percolates deeper than the rooting zones. But furrow irrigation has some benefits. Pringle would like to see existing, older pivots renozzled to more efficiently meet the needs of crops during the highest water demand. Wells should be designed and maintained to deliver the designed flow for the life of the system.